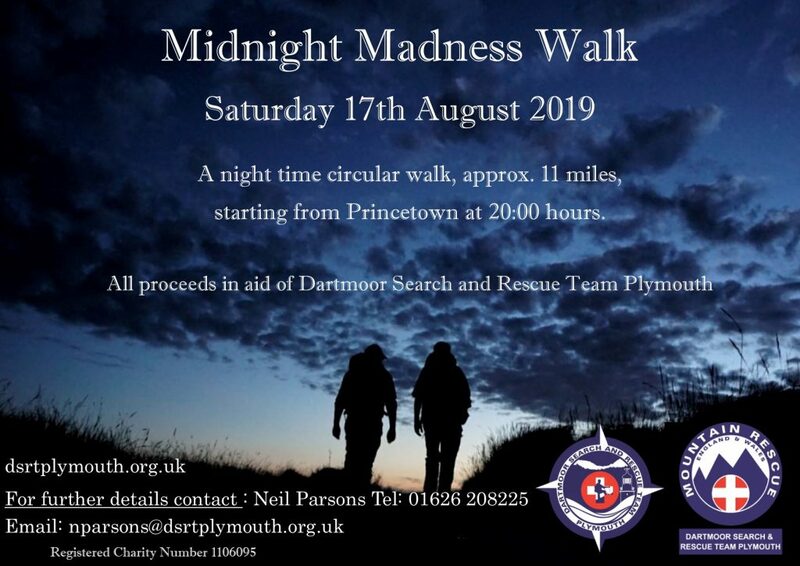 Join us for our Midnight Madness walk from Princetown Primary School. Suggested Equipment: Suitable equipment for a night on the moor in August, bearing in mind possible conditions. You should have at least a map, compass, torch, food and fluids, whistle, waterproofs, hat, gloves and suitable footwear. For greater safety also take a first aid kit, survival bag and spare clothing, food, batteries and bulb. Skills: As some of the walk is on moorland, at least one of the team must have basic navigation, compass and map reading skills. Timings: The walk will start at 20:00 hours and no walkers will be allowed to start after 20:15. The cut off time for the finish will be 03:00 hours on Sunday. Please remember that by the time you return to Princetown the inhabitants will be asleep and would appreciate it if they could remain that way. Car Parking. There are spaces in the School car park, in the National Park car park (for which there may be a charge) and on roads within Princetown. Preparation of Own Route: The walk will start and finish at Princetown Primary School. The route supplied has the grid references for five checkpoints and some other points on the suggested route; each team must plan and prepare their own routes using the information given. 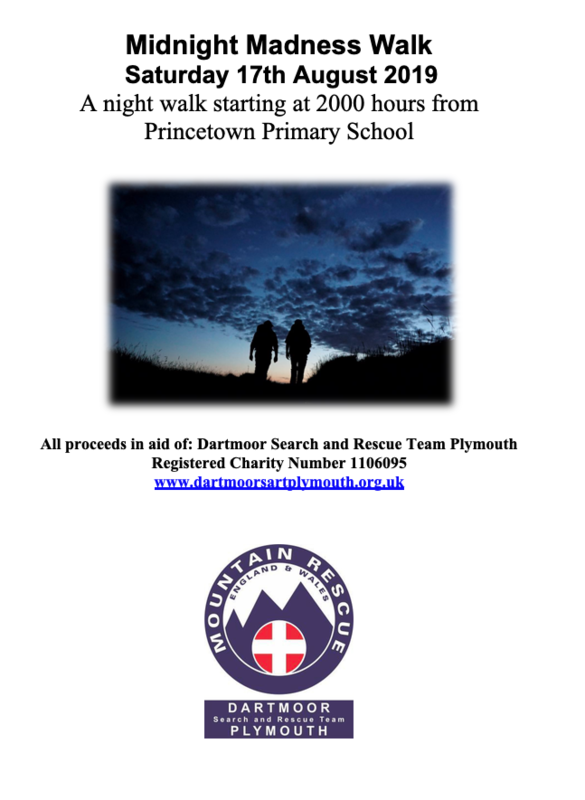 The aim of the walk is to visit all five checkpoints and be at the Primary School at Princetown before 0300 hours. The Map used or the information and preparation of this walk is Ordnance Survey Outdoor Leisure Number 28, Map of Dartmoor North & South, 1:25,000. A Poster to advertise the event – any assistance in spreading the word of this great event with your personal networks is of course very welcome!